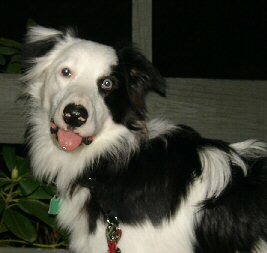 Border Collies are highly intelligent, motivated, task oriented, work ethic dogs. 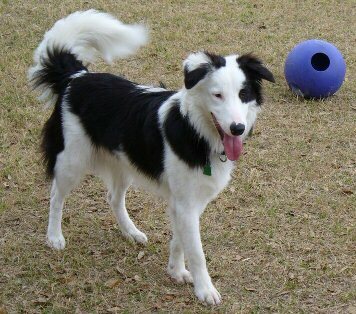 What makes them very good herding and agility dogs also can make them a very poor choice as a pet for most families. Well meaning people purchase them after seeing perfectly trained examples at agility or herding trials not imagining that it takes hours and days and weeks and months to get an animal to that place. This means that many of these wonderful dogs are purchased from some breeders who are not consciously concerned about the environment in which these dogs will find themselves with profit as their motive rather than a proper fit. These dogs can make wonderful companions, but a border collie without a job will find something to do, and it probably isn't what the owner had in mind. They can be extraordinarily destructive, and as a result thousands of these dogs are dumped at dog pounds, rescue organizations, or just abandoned. Border Collie Rescue Texas is one of many fine organizations that attempts to find suitable homes for at least some of the thousands and thousands of border collies currently in the care of their organizations. Max was adopted by Heather and John Russell from Border Collie Rescue Texas after waiting over two years after their dog Ian died. Max's story is quite typical. He was purchased by someone who thought it would be a good idea to have a dog in an office environment. Initially he was taken home in turn by several employees of the firm and then exclusively by one very caring person. Unfortunately, as is all too common these days, the company went out of business, and the person who was Max's primary care giver lost her job and was forced to move into an apartment that did not allow pets. Max was then turned over to Border Collie Rescue Texas and was in foster care there for 5 months before being adopted by Heather and John. Max's future looks brighter now that he faces long term stability, consistent training, and the attention of a loving family and friends. He is still very new to his environment and is adjusting to his new people, and they are adjusting to him. Max is a very happy boy and very energetic. He is showing little interest in herding activities, but early indications are that he may be interested in agility training. He is very friendly with new people, and, as we say in Georgia, "Never met a stranger". He is still quite young, but as he grows and matures, he will probably have many stories to tell us just as Ian did.